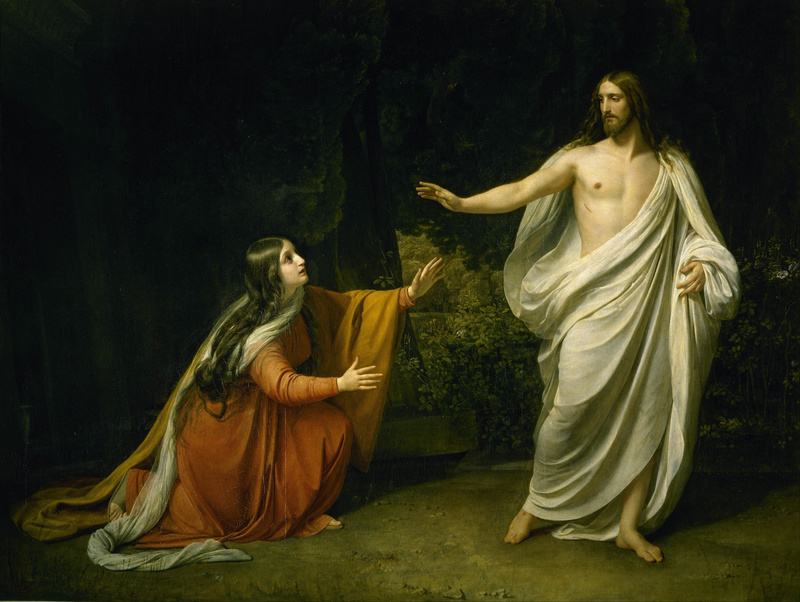 The Importance of the Resurrection to Khristianity – Doris Dawn – Mature Model. New top blog by Ruddy Adam. There is no Khristianity if Khrist did not rise from the dead. That is the very reason our enemies attack the concept of life after death and the Khristian doctrine that states Yasu Khrist did indeed rise from the dead. The Resurrection brought about Khristianity—through the power of knowing that Yasu Khrist had risen after He had been murdered on a Cross. A dramatic change came over both the Disciples and the women who followed Khrist and them around when they went to the grave where He had been entombed. But not when they first arrived. After having the stone rolled away, they were startled when they discovered He was not inside, and had no idea what had become of Him, because the Lord had blinded them so they would be innocent when they denounced Him at His Crucifixion—as all of them did. They were at that time still not ready to believe that He had risen, though He had told them over and over that He must be killed and that He would rise on the third day afterwards. (Matthew 16.21; 17.22-23; 20.18-19; 26.31-32; Mark 8.31; 10.32-34; and Luke 18.31-33). On top of those direct statements, there were numerous symbolic ones that, had the Disciples known the Scriptures they would have understood referred to His death and Resurrection. “An evil and perverted race asks for a sign, yet a sign shall not be given to that race—except the sign of the prophet Yonah (Jonah).” (Matthew 16:4). I am combining several visits to the tomb by the female followers as well as the male and a combination of the two. Some of the women were filled with fear at first. Some of them spread the word that He had risen—but the men they went to did not believe them. They themselves were filled with fear. They were skeptical. They were lost. But after the Messengers the Lord sent to them informed them that He had risen, they believed (except for Thomas). At that point the foundation that brought Khristianity to the people—the Lord had laid. Paul informs us that over 500 saw Him risen of those who had believed upon Him as He traveled the countryside proclaiming the Message that the Savior had come (I Korinthians 15.5-8). We know from numerous Scriptural and secular accounts that each of these men who saw the Risen Khrist were tortured and then murdered in the most brutal way imaginable—but refused to denounce their faith after the Resurrection. No way could they have conspired to make up the story of the Resurrection. For who would be tortured and put to death for a made up tale? Khristians are to remember the Crucifixion and the Resurrection during Communion—that the Lord offered His Body (which did not spoil or decay while in the tomb, just as unleavened bread does not) and that He allowed His own Blood to be shed (that Blood Which is the cleanser/purifier for all Adamic souls, just as wine cleanses/purifies itself through the fermentation process, and hence becomes the purest substance in that natural form known). Thus, the unleavened bread represents His Ever-Existing Body and the Wine represents His Soul-Cleansing Blood. The Resurrection defines Yasu as God, because only He can raise the dead; and only He fulfills the many Scriptural Passages that predict His life, murder, and Resurrection. The Resurrection for Khristians is a joyous event—one that is the result of the Crucifixion. The Resurrection calls for celebration, because it provides us with hope—a hope that, as Paul wrote, the non-believers do not have. Cherish that hope when you celebrate! 13. Indeed brothers, we do not want you to be uninformed about those who have died in union with Khrist, in order that you do not grieve, as indeed the unbelievers do who have no hope grieve. 14. For if we believe that Yasu died and rose, so we also believe that the Ever-Living will—through Yasu—bring with Him those who have died in union with Khrist. Therefore, you will either see your loved ones when you shed this flesh or when the Lord returns—either way is a win-win for those in union with Yasu Khrist! Happy Resurrection Day. Keep in your mind that you are celebrating the Day that brought about the faith. Enjoy your feast and celebration! Posted in Reflections, SchoolingTagged faithBookmark the permalink.